← Registration is Coming Soon for the Next Provisional Class! 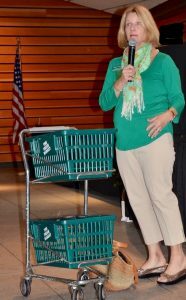 This month, Patti Taylor shared some tips at the General Meeting on how we can all take steps to “go green” when it comes to grocery shopping. First of all, try to shop close to home – to save gas. Or better yet, walk or ride a bike to the store. Always combine errands to save gas. Don’t forget that farmers markets are a great way be green. The produce doesn’t need to be shipped which is just one good reason for buying local. Always bring your own shopping bags. Stop leaving them in the car! 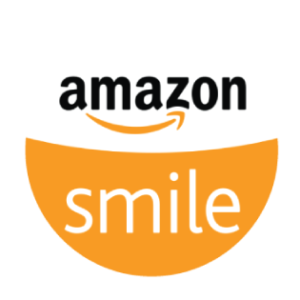 Perhaps buy a bag or two you really love and want to use when you shop. Fact: Americans bring home 100 billion single-use plastic bags. These end up in landfills or the ocean. Californians come up with some crazy ideas, but I think their “no bag” law is brilliant. People MUST provide their own bags at all retail stores. What a way to reduce single-use plastic bag use to zero. Consider bringing your own reusable cotton mesh bags for produce. Plan your purchases. Do not buy more than you will consume. Studies show that Americans throw away over 25% of the groceries they buy. Those who shop weekly tend to have more waste than those who shop as needed. Something might be a great price, but if it produces waste, you are not saving the earth or money. Stay to the perimeter of your grocery store. There are less processed and highly packaged food items here than down the middle aisles. Buy in the bulk department. There is less packaging. When you get home put things into reusable containers. 60 million tons of paper, plastic and glass packaging are thrown away in the US annually. Really look at pre-packaged items. Is the packaging recyclable? Compostable? Reusable? Buy organic – keep pesticide residue out of your house. Pesticides are used most heavily on berries, tree fruits and leafy greens. These pesticides destroy the balance of natural ecosystems. Stop using individual coffee pods. Start using reusable pods. Stop buying individual bottled waters. Remember, it takes 21 days for a new habit to set in. Come February these new ways of doing your grocery shopping will be a breeze….blowing over a greener earth.